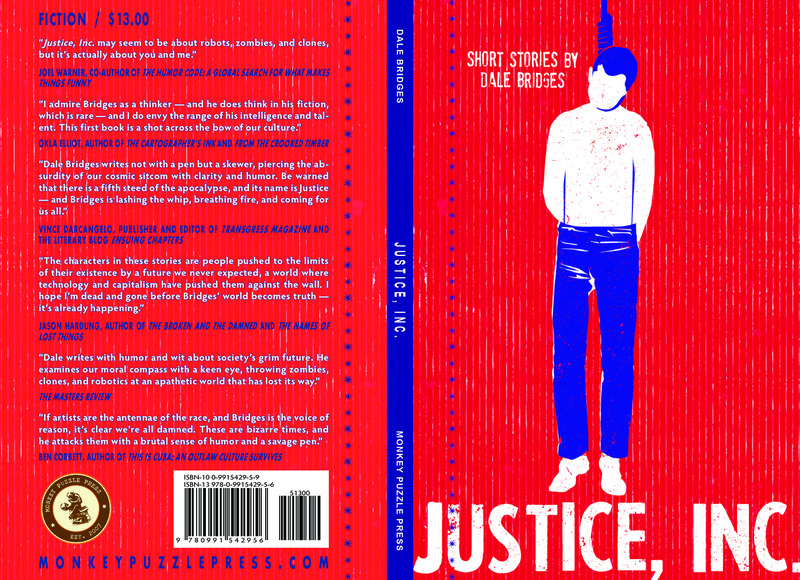 This is a blog post to thank those kind souls who have contributed to my Indiegogo campaign, which is raising money to market my debut short-story collection, JUSTICE, INC. The book is being published by Monkey Puzzle Press, a small press that does not have a budget for things like advance-reading copies, advertising, postcards, bookstore fees, or a book tour. Without marketing, your book basically just sits on the shelf and gathers dust. This is the nature of publishing in the modern age. No one can do it alone. Thank you, everyone. This book literally (get it?) would not be possible without you. There have also been several anonymous donors. I don’t know who you are, but thank you. We live in a strange neighborhood. I don’t think anyone would intentionally move here, but it’s kind of awesome. The main road near our apartment building is filled with car dealerships, strip malls, gas stations, pawn shops (all desperate to buy your GOLD! GOLD! GOLD! for some mysterious reason), fast-food franchises, storage-rental facilities, hot tub dealerships, and furniture stores. There’s an interstate less than a mile away, and apparently some train tracks nearby (I’ve never seen the damn thing but it’s close enough to wake me up at night). In less than ten minutes, you can walk to a Toyota dealership, a Walgreens, Olive Garden, Wal-Mart, McDonald’s, Dairy Queen, and a Napa Auto Parts store. But there are other places to walk, too. There’s a windowless bar four blocks away with John Wayne’s face stenciled on the outside and a mannequin dressed in a cowboy costume inside. The mannequin’s name is Jasper. He’s popular with the ladies. About five blocks away there’s a comic book store the size of an airplane hanger. We once walked in randomly and discovered that George Takei was signing head shots in the back. In the other direction, there’s a nerd-themed bar/coffee shop called the Emerald Tavern, where you can buy a pint of mead and then slaughter trolls with your friends on the gaming tables in back. Next to the drunk-geek factory, there’s an exotic-animal pet shop that smells like a junior-high boys’ locker room. They have a sloth in there that hangs upside down in the window all day long. They also have a taxidermied fox that they won’t sell me. Across the street from this PETA nightmare, there’s an antique mall that takes several hours to walk through. 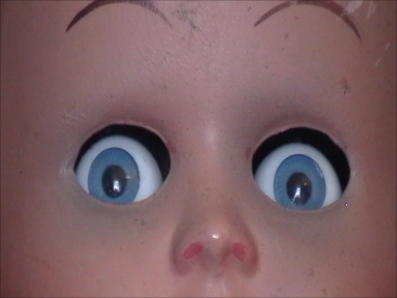 I like to go there and fondle the doll heads until the owners kick me out. I found a stuffed cat there one time made out of rabbit fur. I repeat: a cat made of rabbit fur. And right next door there’s a pool hall next to the best karaoke bar I’ve ever seen. When you walk inside, it’s like Stephen King wrote a short story and then Quentin Tarantino made a musical about it with a drunken, tone-deaf cast. There’s an automotive shop around the corner with a neon sign out front that features a new pseudo-philosophical saying every month. Today it says: “A small town is a spot where there’s no place you can go that you shouldn’t.” Yeah, I don’t really get it either. I’m glad no one else wants to live here.